Monday, 29. June 2009 As part of the poster session at the IRC in Nuremberg, Rhein Chemie is presenting its Rhenogran® XLA-60 crosslinking activator for polyacrylate rubber compounds used to manufacture technical rubber goods for the automotive industry. As part of the poster session at the IRC in Nuremberg, Rhein Chemie is presenting its Rhenogran® XLA-60 crosslinking activator for polyacrylate rubber compounds used to manufacture technical rubber goods for the automotive industry. Orthotoluidine, a substance contained in di-ortho-tolylguanidine (DOTG), a common AEM crosslinking accelerator, has long been a suspected carcinogen and was recently classified as such by the German Research Foundation (DFG). Rhenogran® XLA-60 was developed to replace diphenyl guanidine (DPG) and di-ortho-tolylguanidine (DOTG), powder chemicals widely used in rubber processing. 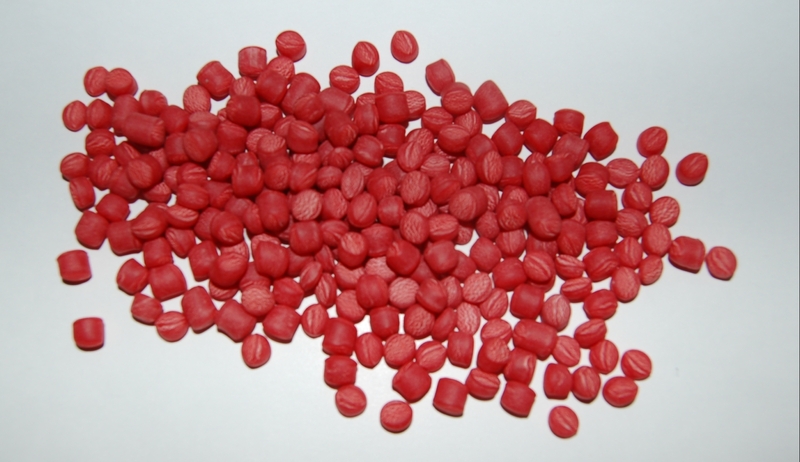 It contains no orthotoluidine and generates no carcinogenic emissions during rubber manufacturing. Instead of DOTG, Rhenogran® XLA-60 contains an amidine derivative as the activator component for rubber vulcanization. On account of its polymer-bound form, dust emissions during processing are prevented. Various advantages result for rubber processors. Preventive occupational health programs, such as those required for handling DOTG/DPG powder, are no longer necessary. Employees suffer less from the mental stress often associated with handling carcinogenic substances. Furthermore, the costs of extractor systems and personal protective equipment can be reduced by using polymer-bound and thus dust-free Rhenogran® XLA-60. Another polymer-bound vulcanization activator is Rhenogran® BCA-40/IIR. This activator for crosslinking butyl rubber can replace chloroprene rubber (CR) as the halogen donor in the mix. The advantage is greater cost-effectiveness, both in rubber processing and with regard to the improved properties of the finished rubber articles. Rhenogran® BCA-40/IIR increases the crosslinking rate and can be distributed more quickly and evenly in the mix than chloroprene rubber. Moreover, it improves the aging characteristics of the finished rubber articles. One key application is tire bladders for the tire industry, which can be manufactured more quickly and efficiently with Rhenogran® BCA-40/IIR. In addition, the bladders produced by this method have a longer service life, which translates into greater efficiency for tire manufacturers because they can turn out more tires with a single bladder and need not replace it so frequently. Other applications include hoses, seals and damping elements, which depend on good resistance to weathering and aggressive media.